Hi Ya'll! My name is Allison and I blog over at Livesimply-Livewell. I am so excited that Michelle has allowed me to blog on her site while she gets to lay on the beach in Hawaii! And yes, I am completely jealous of her! So while she is out having fun and living it up, we get to talk about personal finance, one of my favorite things. One thing that is so great about personal finance is that its personal. You get to decided how to spend, save, and give your money, and work out a solution that works for you, it is not a one size fits all program. The journey to financial peace is hard, long, and frustrating. I found so much encouragement and ideas by reading blogs about what people were doing with their money and how everything turned out. Our money story really begins about 4 years ago. I was on my conference period and rather than working on my lesson plans I started surfing the web and landed on MSN's personal finance page. I was reading some articles about getting out of debt and saving money, and as I clicked on link after link and eventually was led to a blog that introduced me to Dave Ramsey. I will be the first to admit that he is a polarizing figure, but his ideas and money plan worked for us, with some modifications. Like many people who read something and get inspired, I was ready to jump in head first. Like any adoring young bride, I made a budget and as P (the husband) and I were driving in the car, I whipped out a piece of paper and said, “Here's our budget, lets follow this” and tried to end the discussion. I bet you can guess how well that little proclamation went down the hubs. I was on board and ready to fly, the problem was, I never really clued P in to any of it. I am not the best communicator in the world, and sometimes I make one of my Proclamations and expect it to be followed immediately. That scene led to a fight, and the money journey that I imagined in my mind was veering of course really quickly. Fast forward a few days, and P and I were able to agree that we needed to change our financial situation. He came into the marriage with a couple thousand in credit card debt, and I walked in with about 13K in loans from graduate school. We both had full time jobs, and everything from our honeymoon to groceries went on our credit cards. We were making the payments on everything, but we needed to get rid of our debt. After talking to P and sharing with him what I had read, we agreed to work on the budget together. Given that our last experience with the budget didn't go so well, we decided to try and make it fun by bringing snacks into the discussion. From that time on, every time we talk about the budget we share a bag of M&M's, I think the key to budgeting is candy, it relieves some of the pressure. Of all the things we did, the budget was the hardest for us. We were so accustomed to making stops at the gas station for a snack on the way home from work, or going out to dinner without planning it, and all of those small purchases led to some pretty big fights, and even some tears. (I tend to have a flair for the dramatic!) The whole time we were each trying to steer the boat in the direction we wanted rather than working together. We had our budget and we were ready to start the Dave Ramsey program. Lucky for us, he was doing one of his Live Events in our area, and one Saturday morning we got up early and headed to a massive arena to hear him speak. To P, this was me dragging him to an auditorium to hear some boring bald guy preach about money. To me, Dave was something of a financial demi-god and I would do anything he wanted. We were at such opposite ends of the spectrum at this point in the game that it was almost comical. Within 20 minutes of the event, P and I were laughing, holding hands, and we were able to see our major failings and short comings in the financial process. Going to the Live Event allowed us to approach the subject in a much more light hearted way, and it showed us that we both had room to grow and that we both had to give a little. I needed to be less controlling, and P needed to be a little more disciplined. 5 hours later, we walked out with a huge box filled with the Dave Ramsey kit, and ready to finally walk this road together. Later that afternoon we sat on the couch and worked out the game plan. Dave's plan has several baby steps, and if you are not familiar with them, or need some explanation, feel free to contact me and I will walk you through it. Step one was to get $1,000 in the bank for an emergency fund. We had a couple thousand sitting in an account, so we left $2,000 in the account and wrote some checks to pay off what we could right then. Next, we did the budget AGAIN, and this time we wrote out how much we would pay off each month of our debt. The one key feature that we added to our budget that is still in there today and is basically a non-negotiable for us is the fun money category. Every month, we each get a certain amount in cash to do whatever we want with, no questions asked. That one line item has ended 90% of our money fights. Finally, we had a plan and we were working towards a goal, becoming debt free. The last thing we did that day was pick up the phone and started to cancel our credit cards. Even though I knew I wanted to be debt free, this was the scariest part of the entire process for me. I saw those credit cards as our emergency fund. To me, they were the safety net, the comfort that if we needed something we could get it. The plan was to pay down the debt and be debt free within a year and half. Once we started seeing that number drop, we became more and more aggressive. We cut the budget even more, and negotiated our bills down as low as we could. 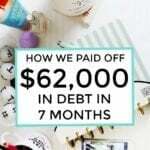 I worked an extra job and picked up hours where I could at school and within six months we were debt free, and I actually called into the Dave Ramsey radio show to tell him. The next step was to get our emergency fund fully funded. We lost a little bit of steam because now we were piling up all this cash, and it was simply sitting there in this account staring at us. Do you know what we could do with all that money? What we could buy, where we could go? It was actually harder to keep up the momentum to keep saving the money. Finally, we had a fully funded emergency fund! It felt like we could relax and live a little. That same year, we also found out that P's company was closing and within a few months he would be out of a job. P went without full time/steady employment for almost an entire year. He worked some seasonal jobs, and did a lot of manual labor and was able to bring in a smaller, but steady income. The emergency fund was the biggest blessing. It gave me financial security in a really uncertain time. During that year while P was out of work, we moved 3 times. We left our first home, a cute 3 bedroom cottage in the country to living out of suitcases in friends houses and an then at the lowest point, living in an extended stay hotel. We finally found a one bedroom apartment that was cheaper and closer to work for me. Those were some rough days, and as someone who craves stability, it was hard. Emotionally, P was a rock and gave me so much comfort. Financially, I was at ease because we had no debt, and money in the bank. We didn't owe anyone anything. I don't think I would have been able to handle that year as well as I did if we had not gotten our financial house in order. Fast forward another year, we had a big move to a brand new city and new careers for both of us. We are still on the Dave Ramsey plan and currently saving for a home. Dealing and relating with money is hard because almost every decision we make, money plays a factor. It factors into where you live, what you drive, what you eat, what you wear, and a million other decisions in between. Learning about money and how to use it has taught me so much about life. It has taught me how to communicate with my spouse, how to plan for the future yet still allow for spontaneity, and it has taught me that one of the best things you can do is give it away and see it do some good for someone else. Thanks again Michelle for allowing me to post on your site! 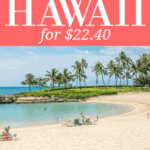 Enjoy Hawaii and get a good tan!! If you have any questions, feel free to scoot over to my blog and leave a comment, or email me at simplegal19@gmail.com Bye! My comment: How did you start your budget? We used to spend sooo much on food, and realized that we couldn't keep doing that. We had to sit down and decide on a certain amount that we wanted to spend on different categories. What's your story? This is a great story. I love how you used Dave Ramsey's personal money savings strategies to improve your financial life. I've listened to Dave Ramsey's daily radio program for years. Also, I've read his book Total Money Makeover, and was able to apply his baby steps to my own personal finances. Congratulations on your success, and I hope you have many more in the near future. 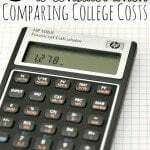 Dave Ramsey provides a very approachable way to save and budget. I don't agree with all of his principles, but clearly he's helped thousands and thousands of people all around the country. Although a little weird last year when I found out my boss was on Step 2 and we are on Step 6. What an inspiration not only to me but I'm sure to many. I started out with Dave Ramsey as well. I love his simple approach on money. I'm glad You and P were able to meet in the middle financially. It's such a blessing when couples can work together to get the house in order with money. Great that you two were actually in good shape when disaster struck and you lost your jobs. Imagine if you were still in all that debt? Sounds like you came a long way. I pretty much did what you did the first time. I worked out the numbers and said okay here is our budget. Neither one of us have any major debt so it worked out okay and I'm pretty much in charge of that anyways so he goes along with it and if we need to adjust we do. Looks like things have worked out pretty well in the end for you guys. Enjoyed your post! Favorite line? "I think the key to budgeting is candy." Too funny. Thanks for sharing your story. When couples can work together to get money in check, it makes the relationship 20 million times stronger. I'm also a big Dave Ramsey fan, although, like some of the other commenters mentioned, I don't agree with all of his beliefs. Thank for sharing your story. You really prove that despite rough times, if you have your financial house in order you can survive! Looks like all same problems…happy to hear you can survive!